"Schilling remains peeved about what he perceives to be media leaks concerning his conditioning. He held Francona blameless and quickly exonerated Epstein as well, leaving the finger squarely pointed in the direction of CEO Larry Lucchino, everyone's favorite piñata. 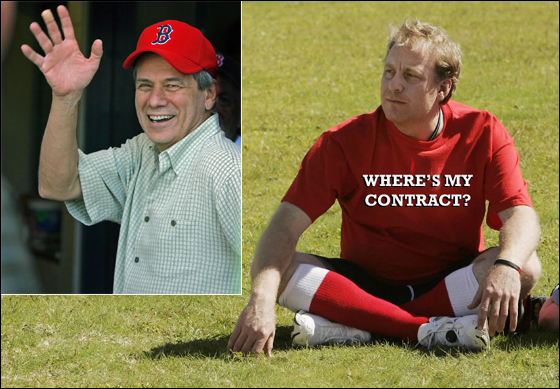 If Lucchino is indeed the subject of his ire, then why not name him? "I'm probably one of the worst hated opposing players for their fans. I doubt they'd want me there. It's got nothing to do with [GM] Brian Cashman. I love that guy. And I love Mr. Steinbrenner. 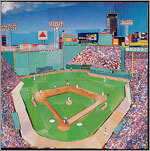 But if I went to the Yankees, it would be me walking out of Boston and putting my finger up to the fans.